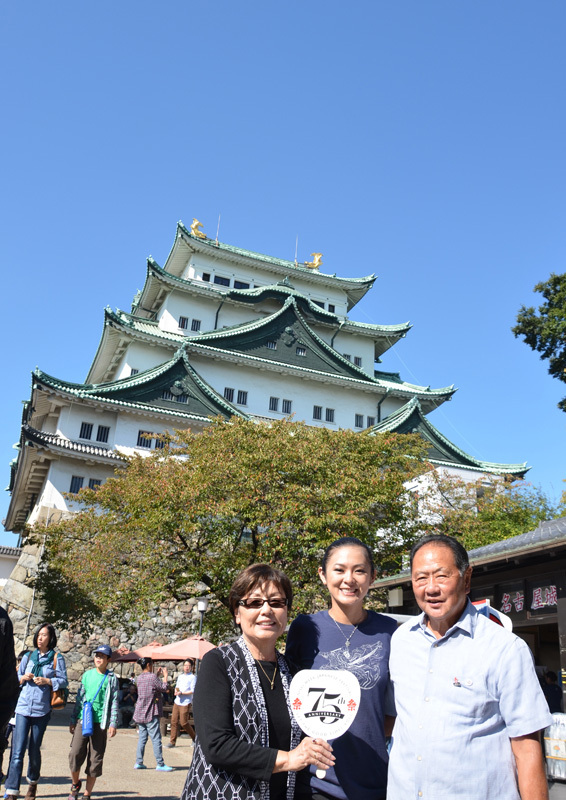 Diary of a Nisei Week Princess, Part Four: The Trip to Japan! 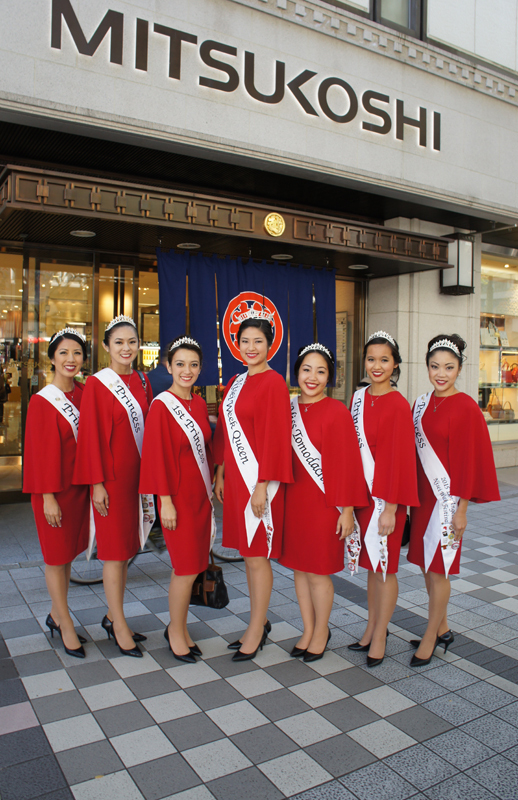 The 2015 Nisei Week Court pays an official visit to Mitsukoshi department store. It’s hard to believe that a little over a month ago, my fellow 2015 Nisei Week Court members and I (and many of our parents) were exploring Tokyo and Nagoya. It was a trip of a lifetime and unlike any other trip to Japan I’d experienced before. Even though I’d been to Japan a handful of times and studied abroad in Tokyo for one year, we still managed to do things I will probably never have the opportunity to do again. After checking into the Hotel New Otani Tokyo at the crack of dawn on Tuesday, October 13, we wasted no time exploring the city, visiting the Tokyo Skytree restaurant and observation tower and the Ueno, Asakusa, Harajuku, and Shibuya districts all in one day. Three coffees and nearly 20,000 steps later, I thought my legs were going to fall off. The next day, we went to Tokyo DisneySea, a theme park located in Urayasu, Chiba, just outside the city. I couldn’t tell who was more excited (or who shopped more)—the parents or us. We all had a great time going on rides, shopping, and eating the specialty foods. 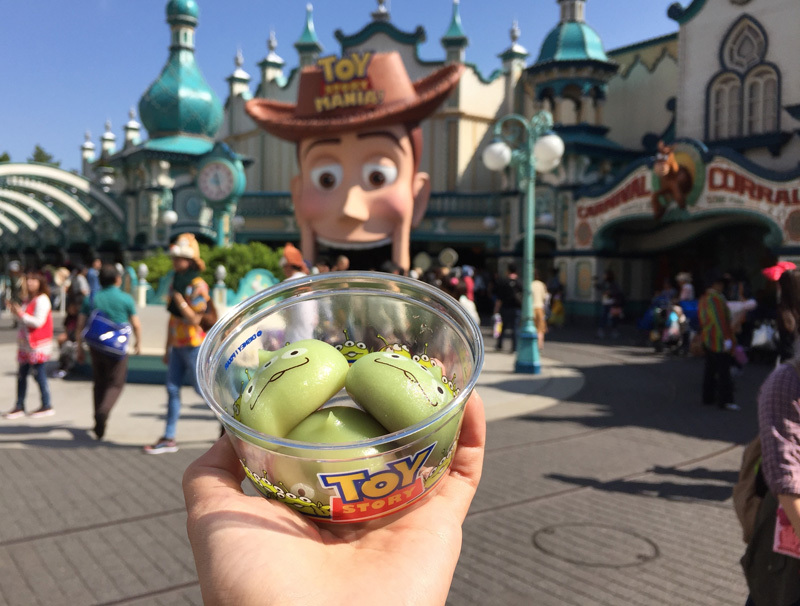 Enjoying some custard manju at Tokyo DisneySea. By Thursday it was already time to make our way to Nagoya—the main focus of our trip. Nagoya and Los Angeles have been sister cities since 1959—in fact, they are each other’s first sister cities, which makes for a special relationship. Nagoya’s biggest annual event is the Nagoya Matsuri, a festival held to spread Nagoya’s rich history and culture to the world—not unlike our own Nisei Week Japanese Festival back home. As official representatives of Nisei Week, our job was to spread goodwill and maintain strong relationships between the two physically distant communities. We took the shinkansen (high-speed rail) from Tokyo Station to Nagoya Station and checked in to the Nagoya Creston Hotel. Our welcome dinner that night (which included geisha performances!) was hosted by Pyua O2, a Nagoya-based business association whose members would accompany us for much of the rest of our time there. Taking in a tea ceremony, courtesy of Pyua 02. The next day we paid official visits to Matsuzakaya department store, Mitsukoshi department store, and Nagoya City Hall, where we met Mayor Takashi Kawamura and his staff. After these visits, Pyua O2 took us to the unique and world-famous Osu Shopping District, which has a 400-year history and is home to over 1,200 businesses. 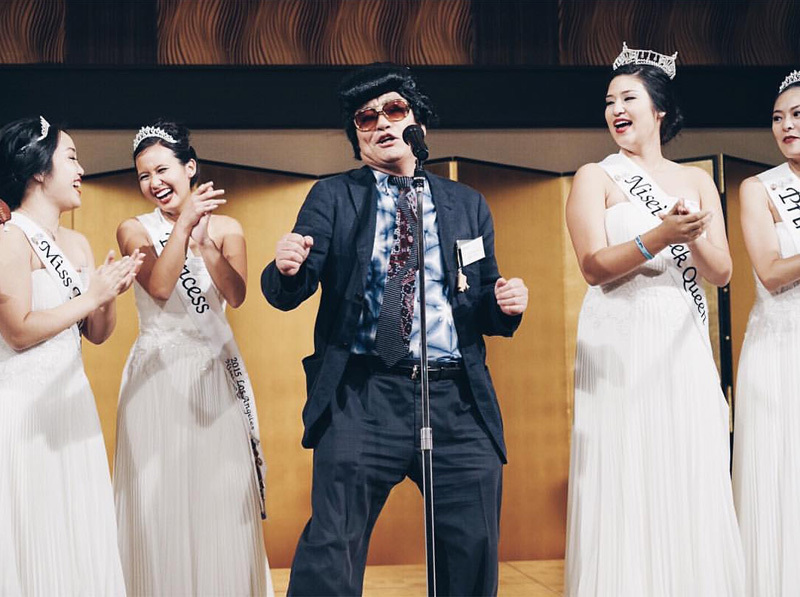 That evening, we attended the Sister City Reception, where we met representatives from Nagoya’s other sister cities and performed two Elvis songs, “Love Me Tender” and “Hound Dog”—the latter with the help of Mayor Kawamura, who was dressed as Elvis! from Nagoya Mayor Takashi Kawamura. Saturday was the start of the Nagoya Matsuri. During a special Sister City event, we had the pleasure of reprising our modern dance number from Coronation at a shopping mall called Oasis 21. That night, we had dinner at a restaurant owned by one of the Pyua O2 members and sang the night away with karaoke. 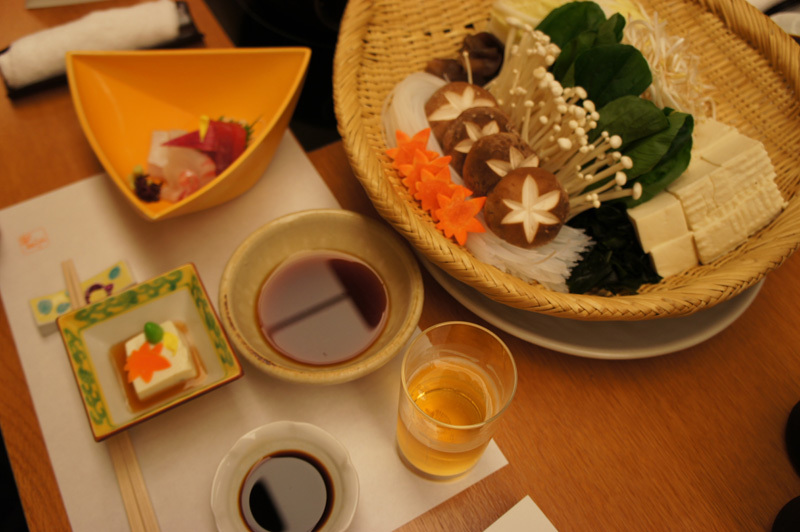 A fancy shabu shabu dinner with Nagoya city officials. Sunday was our last and possibly most memorable day in Nagoya. We squeezed in a short tour of Nagoya Castle before we had to get ready to be in the parade! I couldn’t believe the number of people in attendance—thousands and thousands. The best part was seeing all the children smile as we waved at them. We finished the night eating wagyu shabu shabu with Nagoya city officials. A view of Gero Onsen, an idyllic hot spring resort in Gifu Prefecture. 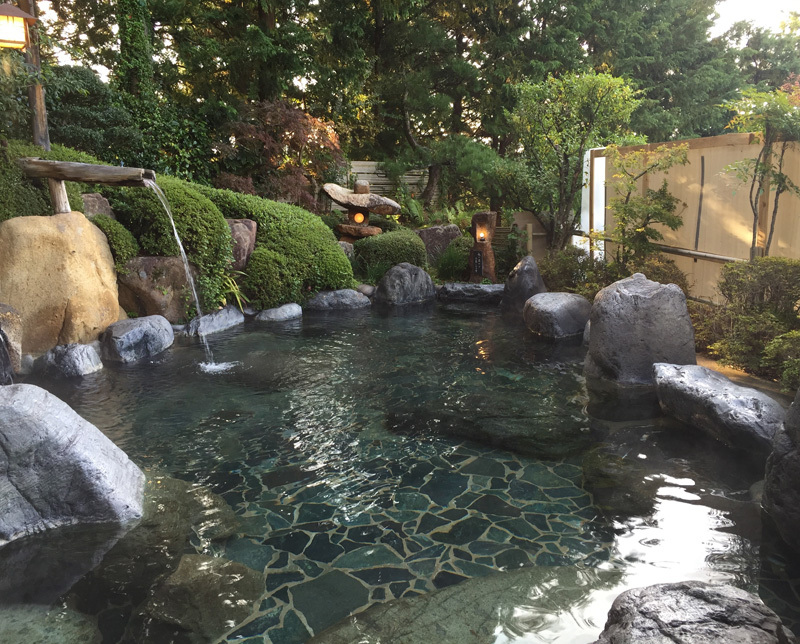 The next morning we went on an overnight trip to Gero Onsen, a hot spring resort, accompanied by Pyua O2. Along the way we stopped in Takayama and other spots in Gifu Prefecture. On Tuesday morning, we headed back to the Creston Hotel, and then it was time to say goodbye. Even our tour guide was crying! Our time in Nagoya wouldn’t have been nearly the same without the hospitality of Pyua O2 and Nagoya’s city officials. For the rest of the trip, everyone in the group went their separate ways. Some went back home to Los Angeles while others extended their stays with excursions to Osaka, Kyoto, and Hiroshima. I decided to go back to Tokyo on my own to spend time with friends I didn’t get to see earlier in the trip. To say we all had a great time would be an understatement. It was such an honor to represent the Nisei Week Foundation and to continue the good relationship between Nagoya and Los Angeles. We had the best food anyone could possibly eat, met the nicest people, and created lasting memories with each other and our families. We’re all looking forward to seeing the members of Pyua O2 and Nagoya city representatives at next year’s Nisei Week Japanese Festival! Camryn Sugita is blogging about her year as a Nisei Week Princess. If you missed previous entries, you can catch up here on part 1, part 2, and part 3.